If there is one gadget many medical students cannot dispense with, it is the iPhone. On itself, however, the iPhone does not offer much for these students. It is the applications that it supports that many of these medical students cannot do without. 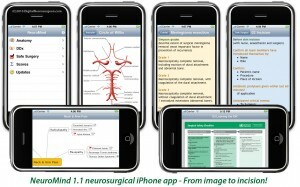 Below is a list of the top 10 iPhone apps that you, as a medical student, just cannot do without. This is a comprehensive medical app that can simply be described as the smartphone version on e-medicine. 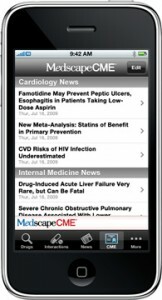 With a large database of medical articles, drug references and even pictures, even the most obscure disease has been referenced in Medscape Mobile. Even more, it is free; though you should not expect it to load very fast because it is extremely detailed. This application is useful for recalling all kinds of medical formulas. It is easy to use since all the formulas are carefully explained. You can customize and sort your often used formulas into categories for easy retrieval. The application packs a large database of eponyms, with accompanying descriptions. You do not have to struggle to remember those obscure names (think McArdle’s syndrome) of long gone physicians. This one is also free. Medical students cannot do without a form of drug reference book. Instead of walking around with an extra load in the form of a book, why not download Micromedex to your iPhone? The database includes both Canadian and U.S trade names, and all the indications/contraindications are also included. 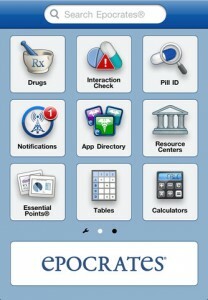 This is another drug reference app with thousands of prescription drugs and other clinical information. This is what medical students should use if they wish to learn how to improve patient safety. This is one of the best 3D medical applications available. It was developed by Stanford University School of Medicine in conjunction with 3D4 Medical. It is useful for rotating, cutting and labeling a very realistic 3D heart. Doximity is to the medical fraternity what Facebook is like to the rest of the people. This social network for medical and healthcare professionals fosters easy communication and is available absolutely free. As a medical student, one of the things you have to deal with is laboratory values, and they are numerous. With Pocket Lab Values app in your iPhone, you have at your fingertips more than 320 common and uncommon laboratory values. This application is very handy for those who are learning (or for referencing) radiology. It offers case-based presentations for imaging. The application was inspired by an Assistant Professor of Diagnostic Radiology at Yale University School of Medicine, Dr. Daniel Cornfeld. Even practicing non-emergency physicians will find it very useful. 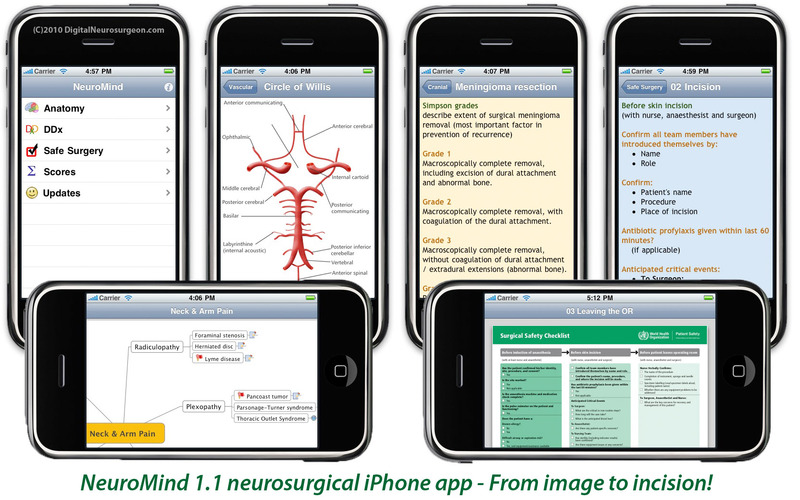 Developed by a neurosurgeon who is also a researcher and software engineer, medical students who are interested in neurosurgery must have this application. It is an extensive reference tool that even other clinicians can use for referencing neuro-based pathologies.